The Swedish Citizen DAWIT ISAAK is wrongfully jailed in Eritrea. Dawit Isaak is born on October 27, 1964 in Eritrea. He grows up with five siblings and his parents, who run a small Italian deli. During elementary school, Dawit begins to write and set up plays. As an adult he becomes an author and publishes several books. He writes two novels in Tigrinya, which is one of Eritrea’s official languages. His works receives positive critique and he wins awards for his writings at Italian festivals. Eritrea, which has been deemed part of Ethiopia since World War II, struggles for independence and due to this conflict, Dawit flees to Sweden in 1985. He starts at a refugee camp, but soon lands a job as a janitor in a church in Gothenburg. Between 1985 and 1992, Dawit is active in the Eritrean diaspora, where all members share the dream of a free and democratic Eritrea. Among others, Dawit meets Yonas Manna, who, today, is the Eritrean chargé d’affaires of Sweden. Dawit becomes a Swedish citizen in 1992, and when Eritrea gains its independence the following year, he returns to the capitol city, Asmara. He marries and starts a family. 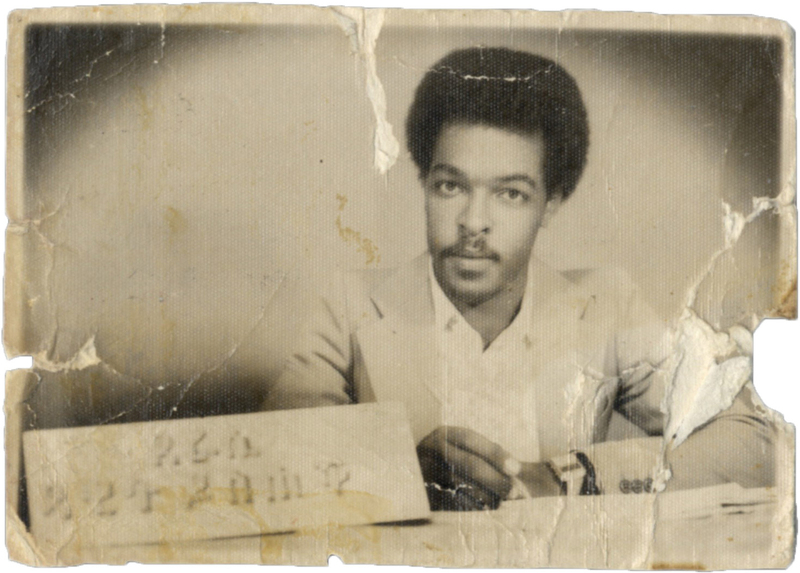 1992-2001 Back home, Dawit returns to theater and starts a children’s group, meanwhile he is also picking up his authorship and writes a book about the war between Eritrea and Ethiopia. In 1997, he along with some other journalists, launches “Setit”, which becomes Eritrea’s first independent newspaper. He moves his family to Gothenburg in 2000, only to return to Eritrea the following year. During 2001 a group of politicians and ministers begin criticizing how President Isaias Afewerki is running the country. This group is later named “G-15”. In a series of letters, they demand that elections be held as promised and for the proposed constitution to be implemented. Dawit Isaak reports on these letters in his newspaper, Setit. Dawit’s motto is: “If you have the opportunity to write, do it.” To Dawit, all news is of importance, anything from large issues like war to local incidents, and needs to be shared with the public. On September 23, 2001 there is a knock on the Isaak residence’s door. Outside are two security officers, there to arrest Dawit. He and most of the G-15 are thrown in prison without trial. President Afewerki wants to silence all form of debate in Eritrea. This is where the timeline could have ended. But in 2003, Dawit Isaak is awarded the Freedom of the Press award by the Swedish chapter of Reporters without Borders. It is the first time they give out the prize and several organizations actively start working for his and his colleagues’ release. Since 2004, we have regularly delivered letters in protest at the Eritrean Embassy in Stockholm. We have also, unsuccessfully, asked to meet and speak with the ambassador on numerous occasions. Every day, voices Dawit’s release are printed in Swedish newspapers. But nothing has changed. It can seem hopeless, but we are convinced the attention to his case is what keeps him alive. On Saturday, November 19, 2005 Dawit Isaak is unexpectedly released. When he is seeking medical attention for injuries he’s sustained during torture, the following day, he is arrested and thrown into prison again. In 2005, he is also nominated for UNESCO’s Freedom of Press Award by the International Federation of Journalists. By the end of 2008, Dawit is moved from Asmara to another prison outside of the capitol city. The new prison is known for its cruel treatment of the inmates. At the beginning of February, the organization, Eritrea Watch for Human Rights and Democracy, EWHRD, reports that Dawit has been moved to a military hospital and he is feared to be in critical condition. In 2009, Dawit Isaak was nominated as a candidate for the prestigious Sakharov Prize for Freedom of Thought, which is awarded to individuals for their efforts on behalf of human rights and fundamental freedoms. A legal report compiled by the Stockholm organization, Civil Rights Defenders in 2010 shows that the Swedish Government has the right and obligation to speak for Dawit Isaak. The report, based on a review of international law and international legal cases of persons with dual citizenship, is submitted to the Swedish Foreign Ministry, the European Commission and the spokesperson for the European Parliament. In 2011 three attorneys, supported by Reporters without Borders, submit a Habeas Corpus petition to an Eritrean special court. A copy is sent to the representative of the European Commission based in Asmara. When the Eritrean court does not act on the petition, the attorneys turn to the African Commission on Human and Peoples’ Rights (ACHPR). The ACHPR is an agency within the African Union (CFR) that monitors compliance with the CFR’s human rights charter. Eritrea protests, but the ACHPR decides to take up the case. On May 10, 2013, we get a sign of life from Dawit Isaak. A former prison officer confirms for the Swedish newspaper Expressen that Dawit Isaak “Is Okay”. 2011 Dawit’s collection “Hope: The Tale of Moses and Manna’s Love” is published by a collaboration of eleven Swedish publishing companies. The translation is paid for by the Swedish Academy and all revenues are deposited into Davit Isaak’s Swedish bank account. 2015 his collection is are being translated into English and French. 2010 Golden Pen of Freedom, the annual press freedom prize of the World Association of Newspapers and News Publishers. The support group, Free Dawit Isaak, is a non-profit organization. You can follow our work at Twitter, Facebook and Instagram. Eritrea lands in an unflattering last place on the Reporters Without Borders Freedom of Press Index for the seventh consecutive year. President Isaias Afewerki and his regime systematically violate the freedom of expression and freedom of information in the country. Eritrea holds Africa’s biggest prison for journalists, with at least 16 confirmed cases. Several of the journalists are held isolation and in harsh conditions. All forms of privately-owned media in Eritrea have been absent since 2001 when the regime closed down all independent newspapers. Managing editors and journalists were arrested and thrown in jail. The crackdown also afflicted reporters employed by state-operated news outlets. The three newspapers, two TV channels and three radio stations that operate in the country are all controlled by the government. Citizens may buy satellite dishes and subscribe to international media, but the import of foreign broadcasts without receiving permission is forbidden. Several radio stations run by nationals living abroad try to reach listeners in Eritrea. Some of them have ties with the opposition and broadcast from neighboring Ethiopia, and Radio Erena, which is aired via satellite from Paris. In 2012, it was reported that Radio Erena’s signals had been disrupted by a jamming device. The government requires all internet providers to use the state-controlled internet infrastructure. Several websites run by exiled Eritreans are blocked. The video-sharing site, YouTube, is also blocked. According to information from 2012, only 0.8 percent of the population has access to the internet, and it’s believed that the authorities monitor the citizens’ e-mail correspondence. Just in 2014, Reporters without Borders aided some 30 Eritrean journalists who had fled their homeland in hopes of international support and protection.